Kritee (dharma name Kanko) is a climate scientist, Zen priest & founding dharma teacher of Boundless in Motion. She believes in identifying and releasing our personal and ecological grief and bringing our gifts into strategic collective actions for societal healing. She is committed to learning from and bringing dharma to young adults, permaculture communities, LGBTQ, black, indigenous and other people of color. She is a sensei in the Zen lineage of Cold Mountain, the executive director of Boulder Eco-Dharma Sangha, a co-founder of Rocky Mountain Ecodharma Retreat Center and serves as a teacher for Earth-Love-Go (Lama Foundation) and One Earth Sangha. 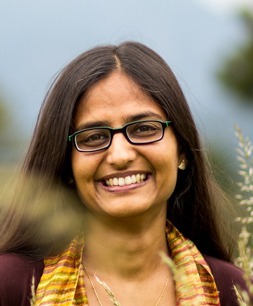 As a senior scientist in the Global Climate Program at Environmental Defense Fund she helps implement climate-smart farming at scale in India. She is trained as a microbiologist and isotope biogeochemist at Rutgers and Princeton Universities (See Kritee’s CV). You can access her talks and articles here. Please email her at kritee at boundlessinmotion dot org. Imtiaz Rangwala has also been practicing Zen for ~20 years and is a senior student in the lineage of Cold Mountain Zen. He is also a co-founding member of Boulder Ecodharma Sangha. He loves to nurture community through his love for cooking and gardening. 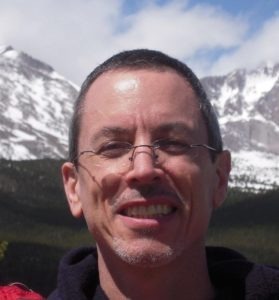 Professionally, he is the Climate Lead for USGS’s North Central Climate Science Center and works for the Western Water Assessment at University of Colorado and NOAA-ESRL (Boulder). He assesses regional scale climate change, with an emphasis on high elevation regions such as the Tibetan Plateau, through climate observations and models. 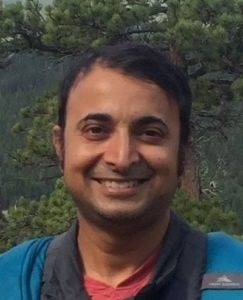 His current interests include development and communication of actionable future climate change scenarios for natural resource management, working closely with different agencies including The Nature Conservancy (see Imtiaz’s CV for details). Both Kritee and Imtiaz are certified permaculture designers. Being natives of India, they have remained inspired by the historic Bhakti/Sufi movements and leaders like Gandhi, Vimala Thakar and Dalai Lama who have consciously explored the interface of spirituality and socio-political action. Kritee was raised in a Hindu-Jain milieu in the family of Gandhian freedom fighter Mool Chand Jain and Imtiaz in the Islamic tradition of progressive Dawoodi Bohras. Janine Ibbotson is a co-founding member of Eco-Dharma Sangha and is our liaison for Boulder’s Greenfaith circle. 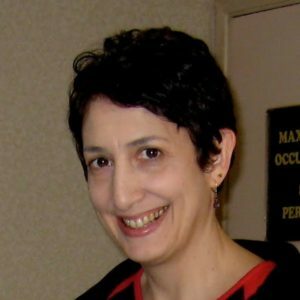 She worked at Naropa University (2006-2016) as assistant dean for academic programming & accreditation, program manager for institutional effectiveness, and an advisor to the Joanna Macy Center. Earlier, at SYDA foundation, she planned hundreds of large public meditation/yoga events. Janine became active in the developing field of Ecodharma after meeting Zen teacher David Loy. She is a contemplative artist interested in Chinese and Japanese arts as mindfulness practices that convey the highest spiritual truths. Please find more details of her work as an artist here. Jeff Hohensee has been working to align the practices of business, government and community with the principles of the Eight Fold Path for forty years. He is a longtime Zen practitioner and shamanic apprentice. 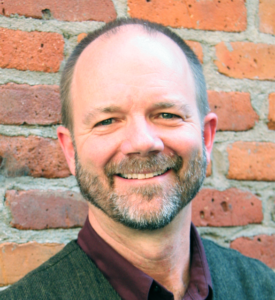 Jeff worked closely with Hunter Lovins to transform the global economy as Vice-President of Natural Capitalism Solutions. He is an honored member of our EcoDharma Sangha since summer of 2014. Please find more details of his professional work here. 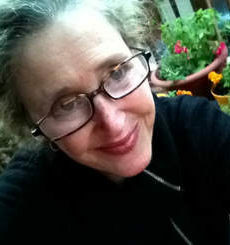 Bonnie Sundance has been a member of Boulder Eco-Dharma Sangha since January 2015. She is the Executive Director, of Our Sacred Earth. She believes in understanding the needs of the Earth and then designing and living our lives so that we live in harmony with all aspects of Earth, cherishing bio-diversity and human cultural diversity. She is an earthling and likes to live off-grid with the least possible ecological footprint. Her complete bio can be found here. Dr. Bill V Eimeren joined us in December 2016. He is family physician and work in Westminster at Clinica Family Health. A background in meditation, somatic psychotherapy, hypnosis, and a bit of NVC, with an interest in how to benefit people with physical ailments, have helped him be attentive, gentle and discerning in life and work. The 2016 election results got him into activism and he believes in spiritually rooted non-violent direct action. He deeply appreciates the opportunity to serve on the EDS steering committee. Ann Morrow joined our steering group in December 2017. Ann has spent two decades learning from and working with Southeast Asian refugee groups in Denver and Seattle, first as a teacher and then helping preserve traditional arts and create culturally appropriate social services. She is active in the community resilience movement that promotes connectedness at the neighborhood level. She has received certificates in permaculture design and organic gardening and has 30 years’ experience working with communities and individuals to establish resiliency after traumatic events. She graduated as a Buddhist environmental chaplain in 2015. She also likes to redesign old clothes, make jam and wants to learn about growing food in winter. Disclaimer: We don’t endorse any actions/approach of professional organizations that employ individual steering committee members. Similarly, none of the organizations that employ individual steering committee members endorse actions/approach of Boulder Ecodharma Sangha with respect to our social justice and ecological crisis.